As you know it’s been a year of home decorating and renovations and I have to say we are not finished yet! If I could go and buy a new home that had everything I want that would be perfect but I’m a rather fussy pup so making our own home our own has been ideal for us. 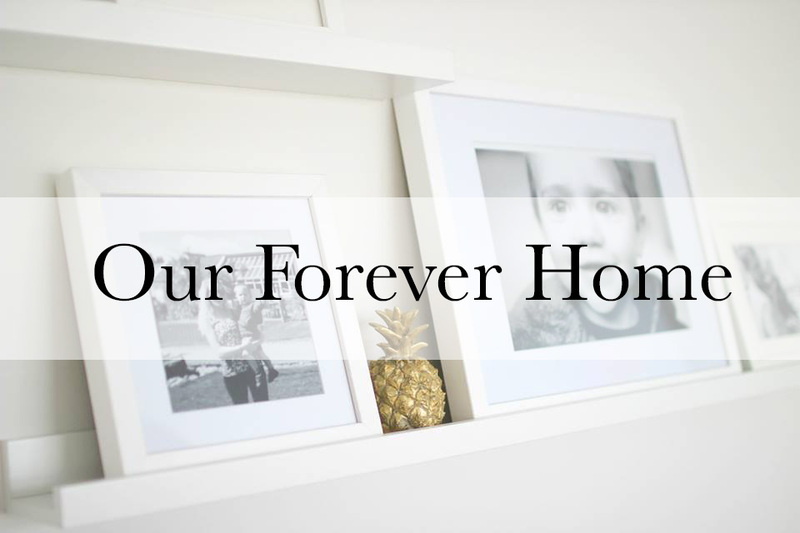 Let me talk you through a few of the things we’ve changed and what we plan to change next to really make this our Forever Home. The style that I’m aiming for in our house at the moment is contemporary, cosy and clean! I love bright whites although I know that can be quite cold in some cases so by adding some nice lighting and soft furnishings I think it really works well at making a house a home and steers away from that clinical feeling you can get with white decor. We are just in the process of finishing our living room and we’ve changed it from browns and beige’s to blues, greys and whites it looks amazing so far and I can’t wait to show you once it’s finished at Christmas time. Onto something a little more structural, my ideal house would have 4 bedrooms so I’d love to add another bedroom as ours currently has three bedrooms and the third bedroom is my beauty room at the moment although that may change in the future. I don’t think we’d be able to extend the house we already have without spending a lot of money so that could be a possibility for our future home although Mark would murder me if he knew I was already planning for another house which may mean a bigger mortgage, I may have already been on the mortgage calculator to work out what we could borrow just for future reference shh don’t tell Mark! Finally the last thing we are planning to change is the bathroom, I’m a huge pamper fan even more so now I’m a mum. There is nothing better than having some quiet alone time relaxing in a fabulous bubble bath and I do try to do this at least once a week so I can just have that me time, our bathroom is absolutely fine at the moment it’s clean and pretty plain but I want to step it up a notch and make it more contemporary and modern, a bathroom to die for… this is also going to be happening very soon due to winning second place in the ‘My Dream Bathroom’ competition I entered a few months ago, so watch this space!